PC Matic has been testing with AV-Test since the fall of 2017, with test scores progressively increasing. In August, AV-Test conducted another round of testing, leaving PC Matic with its best protection scores yet. PC Matic‘s Super Shield was able to block 100% of the real-world threats including zero-day attacks and intrusive web and email threats. 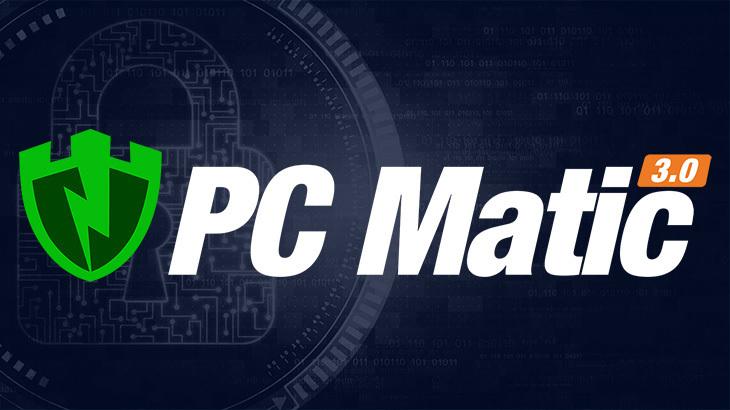 In addition, PC Matic blocked 99.99% of prevalent malware found in the previous four weeks of testing. In past testing, we recognized there were some kinks that needed to be worked out. Our development team worked diligently to resolve these issues, resulting in amazing testing scores. Although protection scores increased, there were issues with the performance and usability of PC Matic. Our development team is investigating the performance issues AV-Test ran into and working as quickly and efficiently as possible to resolve the flaws for our customers. We project in the very near future, our customers will be incredibly pleased with the newly enhanced version of PC Matic 3.0. In the usability category, AV-Test penalized PC Matic for returning a small number of false positives. The false positive test used by AV-Test is extremely robust, with over 1.3 million known good samples. After being tested against those samples in July and August, the total false positives reported were 36. This comes down to .0026% false positive rate or 99.9974% good file accuracy. The number of false positives our users see in the real world is often even lower and further shows that our patent pending globally automated whitelist is a truly innovative approach. If you’d like to check out the test results for yourself, head on over to AV-Test. PC Matic Blog AV-Test, pc matic, PC Matic 3.0. permalink. I am advised that after purchasing PCMatic I should run a scan. In trying to follow your instructions I get confused, cannot find whatever you are talking about and I begin to wonder if this might a farce or another scam. You have no phone listing to allow conversation with a human. Your instructions may be simple to an expert but I grew up in the horse and buggy days. Other security programs come with graphics which are shown on the screen and we simply click on “Scan” and the program does the rest. Either provide better instruction with graphics or have a “coach” available as needed to run through some of the programs. Most of the videos contain bragging rights of how well they work. What gives here??? Wise up folks. Thank you for sharing your feedback with us. We do not offer phone based support. However, you may contact our technicians at http://www.pcmatic.com/help. They are available seven days a week and will be able to assist you with the scan process if needed. When you log into PC Matic, there is a “Scan” button near the top right. Please let our tech support team know if you need additional assistance.